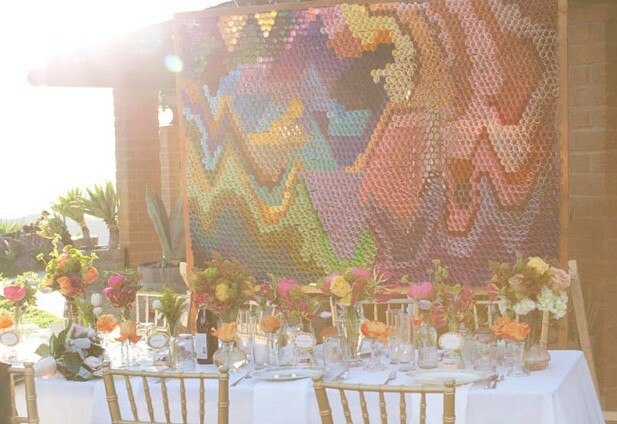 Roll strips of colored paper and create an art backdrop out of them! See more photos from this wedding on the source. See a tutorial for this idea with the rolled papers inside a shadow box. See this idea made with wire mesh and being used as a guestbook.